From those who brought us Non-Solo Pasta, Itali.co St Kilda is busily serving up premium pizzas with not so usual toppings, all set within a modern premises dabbed with just a hint of vintage nostalgia. 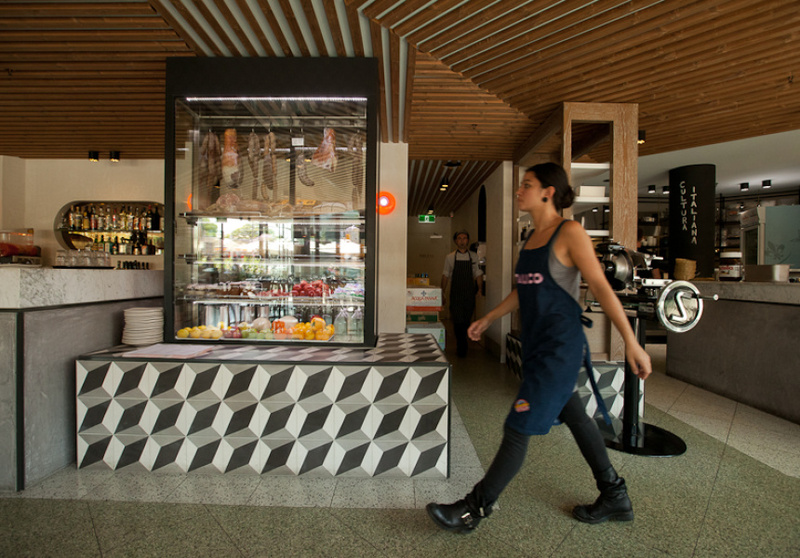 Located on bustling Barkly Streeet, Itali.co boasts all the hallmarks of great Italian dining: homemade smallgoods hanging in the window, plates made for sharing and rustic, simple flavours all served with an abundance of genuine hospitality. The menu features inventive takes on the traditional, such as the ‘diabolik’ pizza – a combination of tomato, provola (smoked mozzarella), lightly fried eggplant, spicy salami, basil and parmesan on a crisp yet fluffy base. 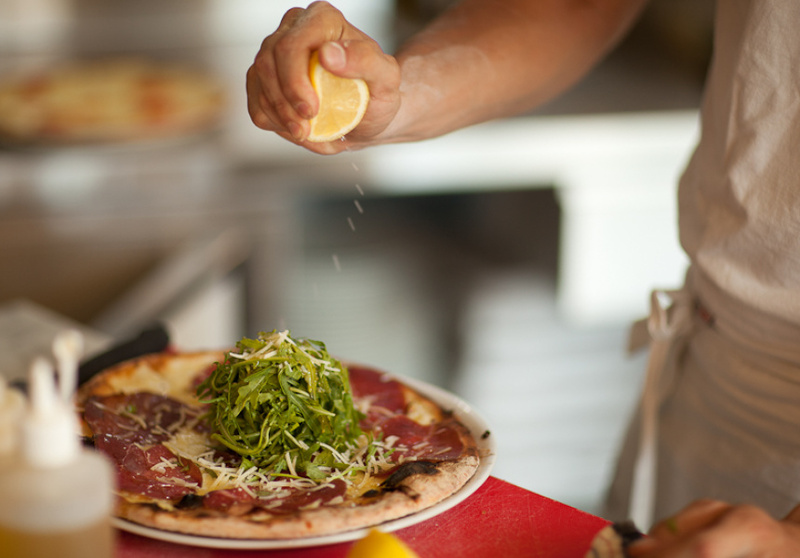 Whilst using a foundation of authentic Italian flavours, Itali.co adds a modern twist to more traditional favourites. Think the beetroot filled ravioli served with burnt butter and poppy seeds – sure to be an adventurous detour from your usual pasta choice. Sharing dishes like the antipasto include cured and smoked meats and Italian cheeses with a side of truffle honey, homemade vegetable chutney and spicy tarallucci (Italian crackers). And if that is not enough to win you over, the homemade gelati and sorbet definitely will. 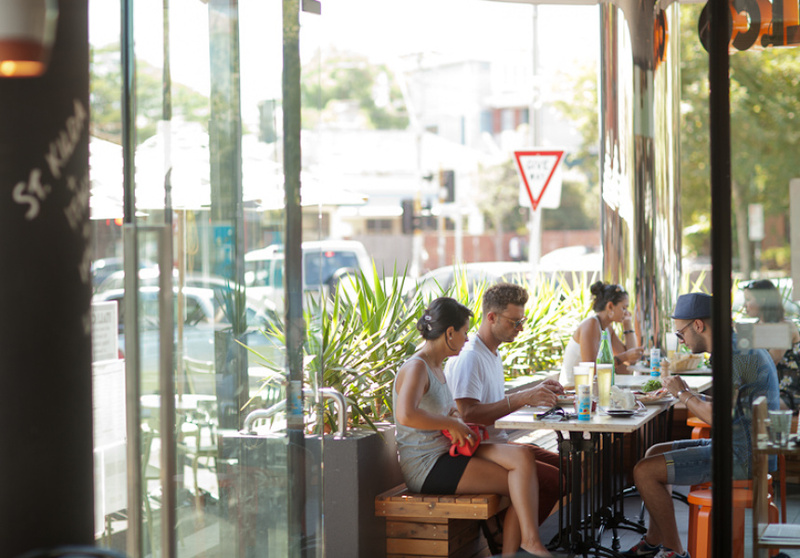 This is a place where summertime dining brings out the restaurant’s best with an outdoor area perfect for a catch-up with friends or a casual first date. This is the way Italian dining should be – simple, sharable, plentiful and with love.